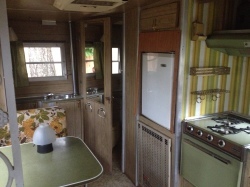 We love the layout of our little 15ft trailer. 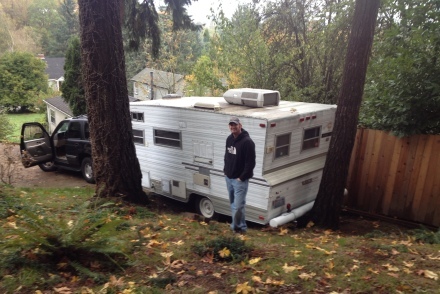 It’s a very functional design with a ton of storage and a full bathroom. When standing in the door way, to the right is a couch that pulls out into a full size bed that we’ll sleep on with a small bunk bed over head; what we’ll use for linen storage. Looking straight ahead is the kitchen with a little sink, stove/oven range with a matching hood in the original avocado green. 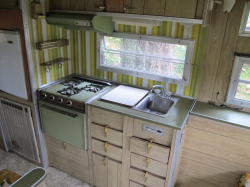 The countertops through out the trailer are also the avocado green and in perfect condition. We love the retro green and will be keeping it completely original. In the back right corner behind the door is a retro yellow toilet accompanied by a matching shower. The color is so bad it’s good! 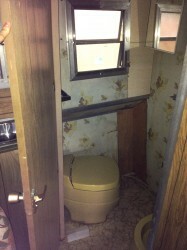 We’ll be switching up the wallpaper and floor in here but keeping the fun (or funny) yellow toilet and shower. 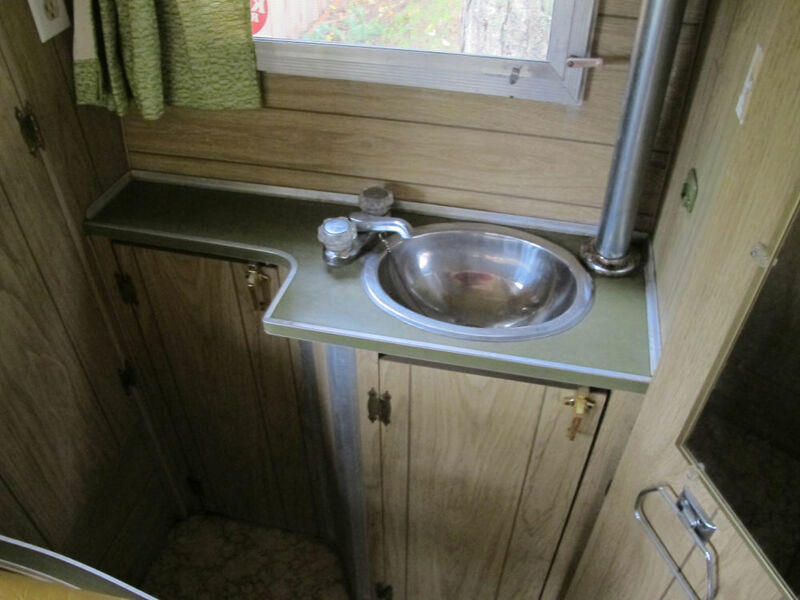 In the very back of the trailer is another sink which we can only presume is for hand-washing since it’s by the bathroom. There’s a large closet and shelves in the back as well. Lastly, looking directly to the left when standing in the doorway is a little dinette that folds down into a bed. We’ll be painting the inside white and adding fun wallpaper as well to give it a light and bright look. 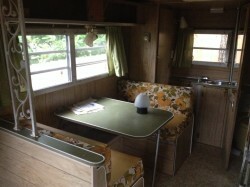 The original cushions and curtains have to be removed due to their mildew smell and age. 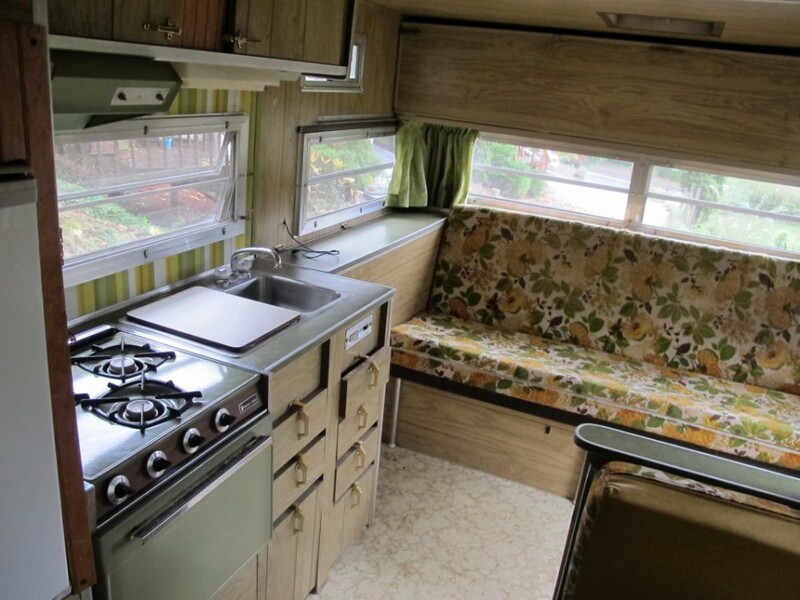 We’ll be saving a swatch of the original fabrics, wallpaper and floor to frame and hang up in the trailer to remind us of her in her glory days. Standing in the doorway looking to the left. Standing in the back looking forward. 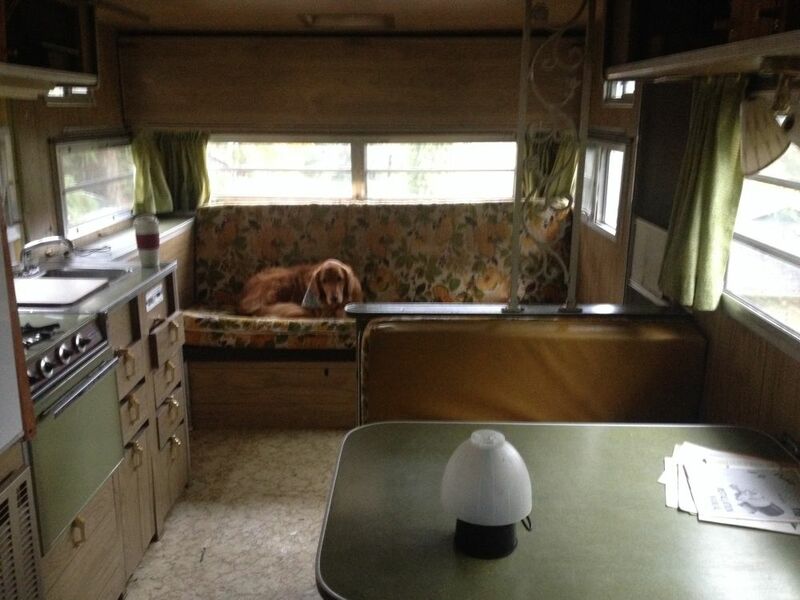 We recently bought a ’71 Aristocrat Starliner, unfortunately ours isn’t in nearly as good of shape as yours. 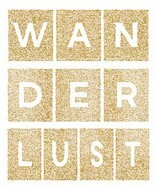 I love to see everything original! I do have a question for you. Underneath your refridgerator is a vent. I am curious to know what is behind that vent? We got the camper with that entire space empty but we have a vent hole just above the wheel and are so curious to know what was once there. On our trailer there was a very old Coleman heater underneath the fridge. I am not sure if it was original or not but it seemed to fit perfectly between the fridge and the wheel well. 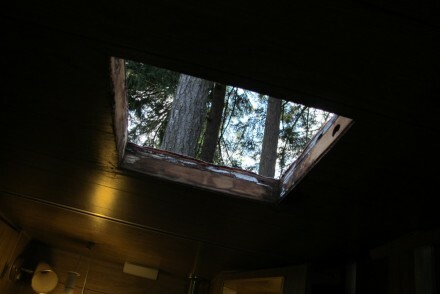 To the right of that and underneath the stove was a water heater/tank. We would love to see photos of your trailer so if you have any please share!